I will try to get one! 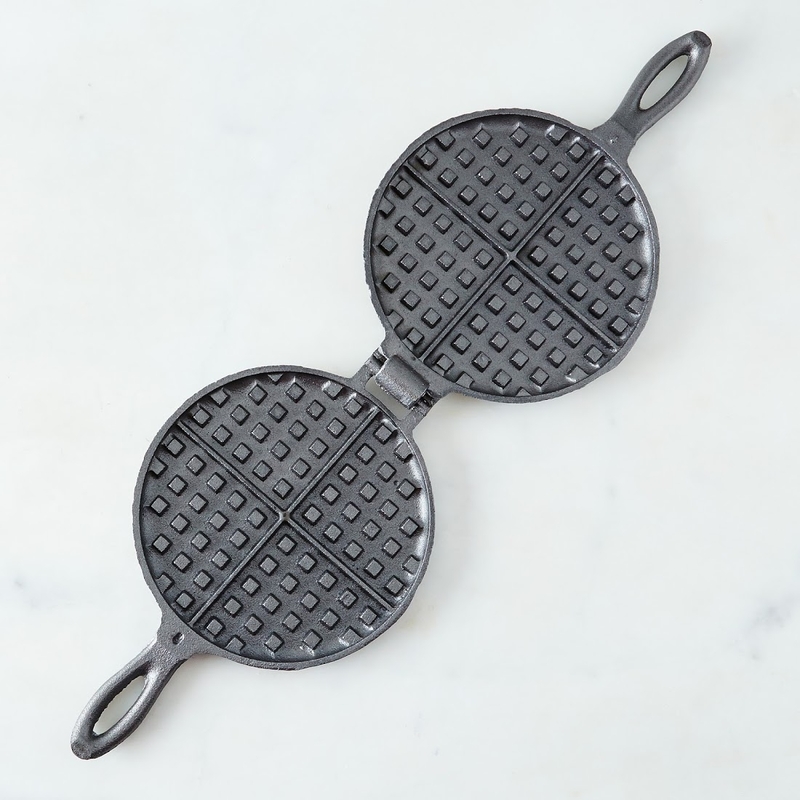 Those old iron waffle irons are the best. I have been looking for a recipe like this and you deliver, as always . Years ago I used to make similar waffles using sour dough . It’s great making them the night before and having them almost ready the next morning. Ruth – this isn’t related to waffles, but I wanted to thank you for your latest cookbook. I love how you describe your journey and I love the book — as you move through the seasons, I find myself getting so excited for the coming months and what they have to offer (mouth is currently watering for apricots and sour cherries). Your descriptions of the sensory pleasures of cooking have made me more alert in the kitchen – especially when the day-to-day responsibility of being the family cook is often a burden. I recently discovered this recipe in your book and have been making it ever since to rave reviews. It has replaced a recipe that we had been using from a 1939 Rumford cookbook — needless to say not a yeast-based recipe. The Rumford recipe calls for beaten egg whites to achieve volume and the right combination of crisp and tender. I love the yeasty taste and smell of your recipe and appreciate how easy it is. Thank you! Hello all, here every person is sharing these know-how, therefore it’s pleasant to read this blog, and I used to go to see this web site daily. Great site. A lot of helpful information here. I’m sending it to several friends ans additionally sharing in delicious. And obviously, thank you in your sweat! Enter your personal website & the names within your direct competitors into your search box & you might get more data. In in this way individuals will manage to find the needed information. Search engine marketing is one on the “trends” in Internet businesses, at the time of now. It’s remarkable to visit this website and reading the views of all colleagues on the topic of this piece of writing, while I am also eager of getting knowledge.